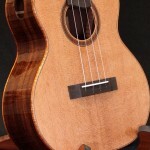 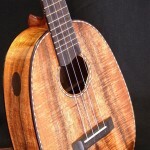 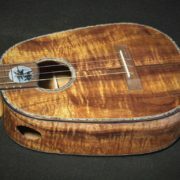 So here’s an Hawaiian Tenor Ukulele made with a blond, curly Koa. To spice it up a bit, I’ve added my “tribal gecko” laser cut to the back. 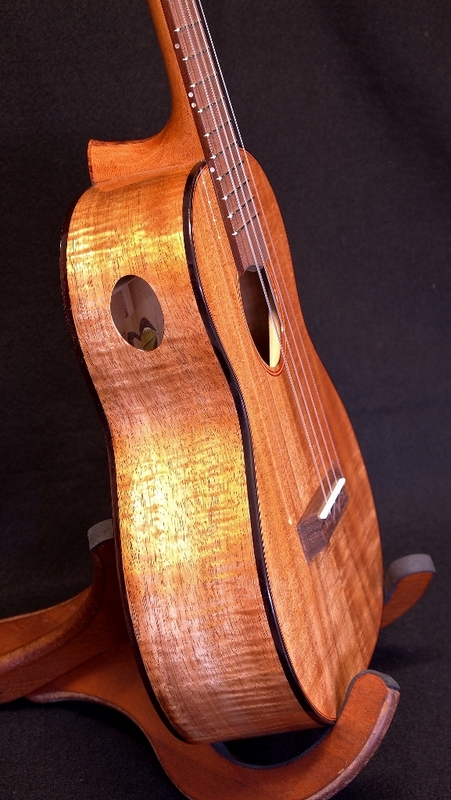 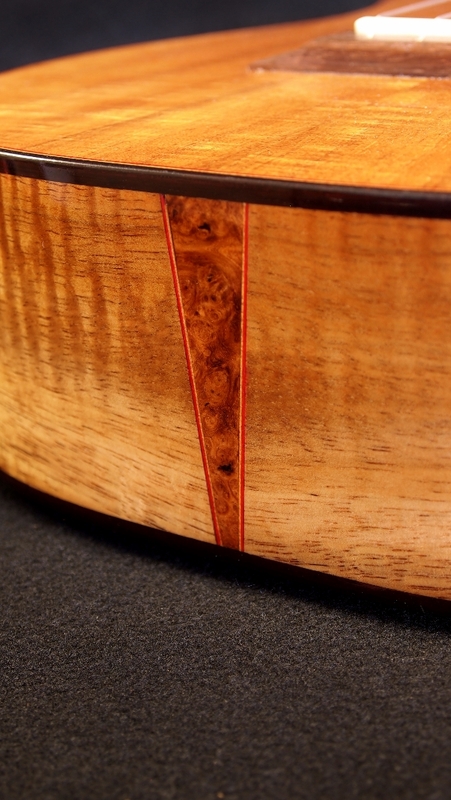 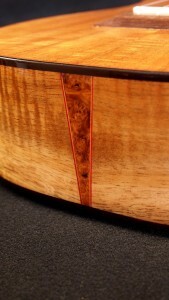 The binding is India Rosewood, the accents are Vanuatu Maidou burl, the purfling is red/yellow Maple, and the fret board and bridge are Mexican “Partridge” wood. 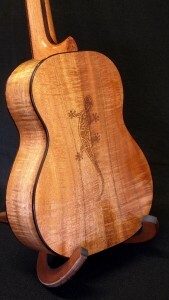 The neck is Honduran Mahogany with a Koa/Koa/Koa lamination. 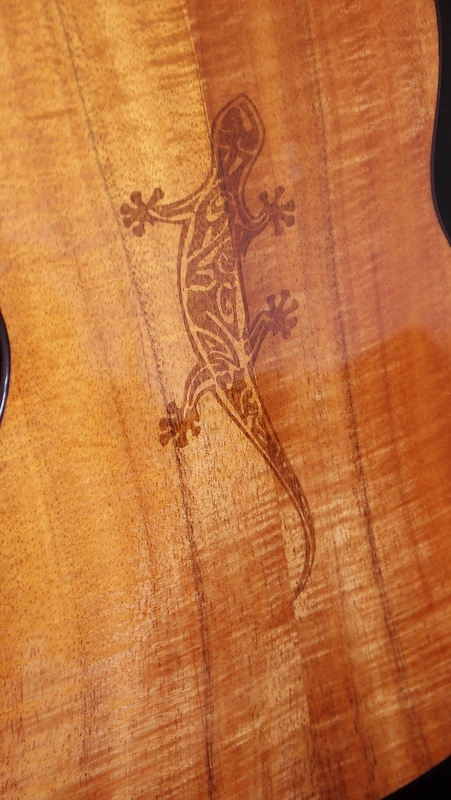 I am using PHD strings but with Sarah Maisel’s low “G” from GHS ( a bit more tension and volume). 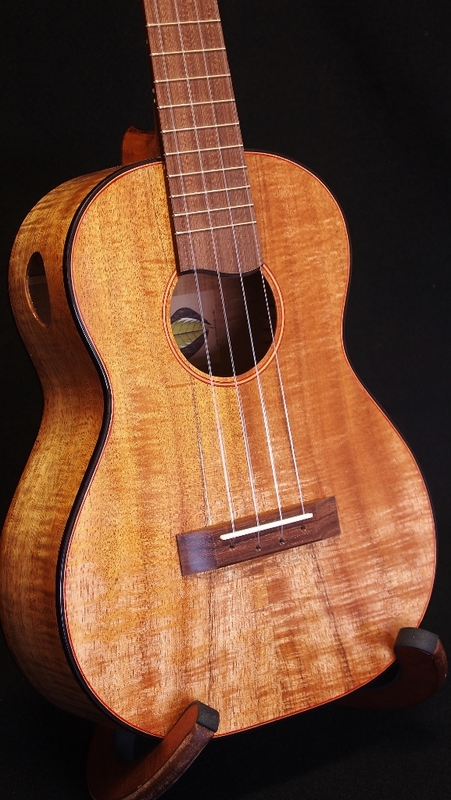 Tuners are Gotoh planetary 4:1 and frets are LMI’s gold EVO. Sounds good to me! 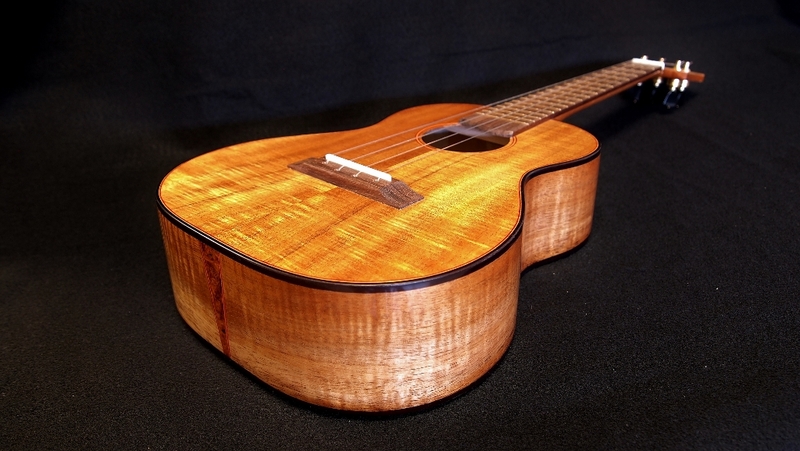 Who are you calling a Heal?